Are You Ready for Retirement? : A Wonderful Afternoon at the Track! 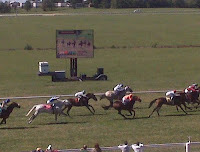 Woody and I spent a wonderful afternoon at Kentucky Downs in Franklin, KY watching and betting (a little) on the races! We sat on the 2nd floor porch of the clubhouse with lots of other "old" people, had a light lunch (hot dogs, chips and M&M's) and bet on the ponies! 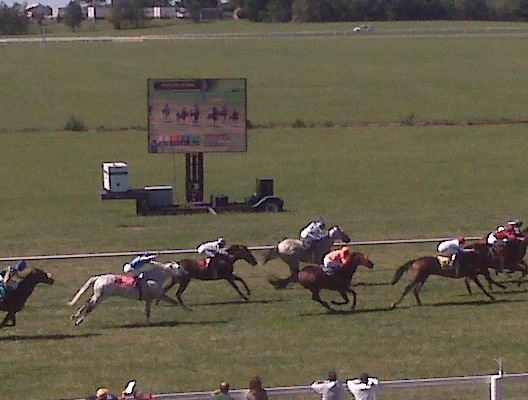 It was tons of fun and not really that expensive since you could bet as little as $2 per race or not at all! We, of course, that would really be me, bet a little more than that and even won a little! So your tip for the day is think outside the box, keep up with activities at local venues and head out for a fun day or evening rather than sitting home! Tonight we head out to Cheekwood for an event hosted by Belle Meade Vacations. Tons of travel and cruise vendors are in one place so we can pick our next "excellent adventure". The very best travel agent in the world is Cindy Farringer who is one of the owners of Belle Meade Vacations and my dearest friend! She has arranged some fabulous trips for us so give her a call when you need a great trip! This is Cindy in Costa Rica I think! She personally checks out so many of the trips or cruises that she recommends so she knows what is great or not...at least that's the excuse she gives for lots of good travel! On Saturday, Woody heads out to a free car show in Lebanon, TN and I'm heading to shop and do lunch. Too many retired folks sit around and don't make the effort to get out. We have a friend who knows entirely too much about daytime TV! He needs to get out more. When you are still healthy enough to try new things, don't waste your life....sitting at home may come soon enough as we age. Socializing through groups or with friends is important. Most senior citizen centers sponsor bus trips to local events or even longer trips. Golden Circle Travel specializes in trips for older adults. You don't have to hibernate for the rest of your life after you retire! Sit down with a map and see what is a reasonable day trip drive from your home...back roads are great because you can go slow and leave your blinker on and no one cares!! 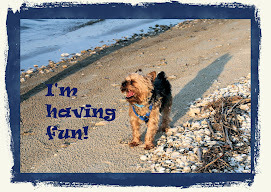 Have fun...get out and about...don't vegetate!